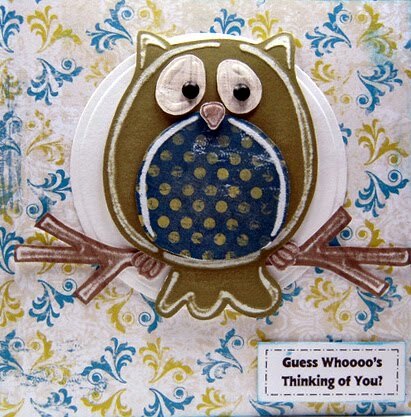 LUV2EMBOSS: Whoooo's Thinking of You? 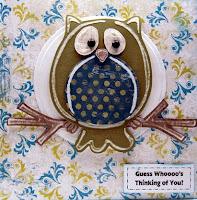 Look at this adorable card created by my friend Barbara! The sentiment is cute, of course, but I love her paper combinations ... all from Lasting Impressions. Barbara does such a nice job and this owl is one of my favorites. I hope you like it too.